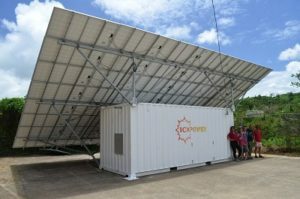 The Solar Container is a grid-tied power station that comes with the electrical system prewired. The structural components and solar panels are shipped in the box and requires a day to assemble. Assembly requires only two electrical connections and does not require a foundation. 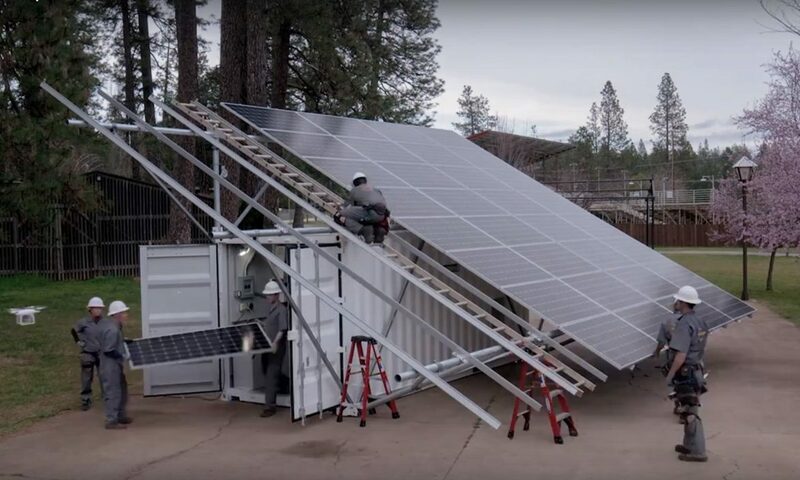 The Solar Container is compatible with utility grids and is compatible with Solar Battery Containers for adding extra solar production.